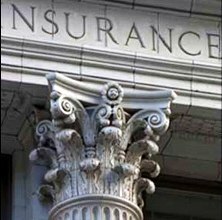 Insurance watchdog Insurance Regulatory and Development Authority said on Tuesday it estimates the insurance business in India to touch Rs 4 lakh crore (Rs 4 trillion) in the current fiscal. Insurance Regulatory and Development Authority Chairman T S Vijayan also said the regulator is mulling to bring out norms for sub-brokers of insurance products. He, however, did not put any timeframe for bringing out guidelines. "October seems to be business is good for all companies, both life and non-life. “Whole year there should be a good growth compared to last year. Last year industry has collected Rs 3.75 lakh crore (Rs 3.75 trillion)," Vijayan said on the sidelines of a programme. Asked if the business would touch Rs 4 lakh crore in the current fiscal, he said: "Anybody's guess. It will be somewhere around that (Rs 4 lakh crore)." "Similarly distribution also we are very keen that distribution channel should contribute to the development of the industry where agents or brokers which are the traditional models. We also brought out regulation for CSC (customer service centers) seriously looking at the sub-broker level," Vijayan said. Later talking to reporters he said: "It (regulation for sub-brokers) is still under discussion. There is no timeframe for that." He said the regulator is working to see that both the insurance distribution and products come to a stage where they can contribute and address the real need of the customers propelling the industry to the next level of growth. According to him the regulator approves products in such way that there is little or no scope for mis-selling the product.